A few weeks ago, my friend, Aimi Nadzirah invited me to her house since we were in a long holiday, just to fill one of our free days. Her house is just 1km away from mine, so I accepted the invitation. The original plan for the day was to bake moist chocolate cake, but then we went to the shop that sold baking materials and bought the ingredients to make Tiramisu cake, and so, we made Tiramisu. Aimi's cousin, Haziqah joined in too. 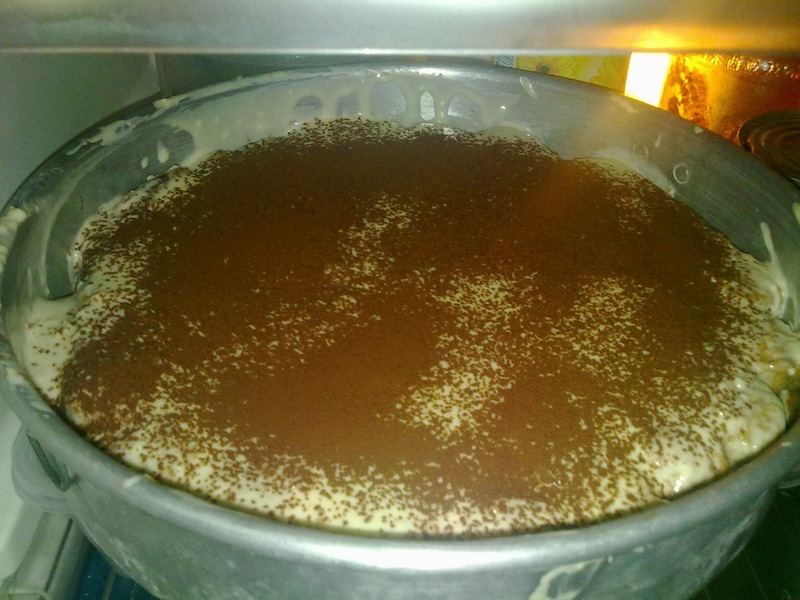 In the end, the moist chocolate cake was made by Aimi alone and the Tiramisu was done by the three of us. 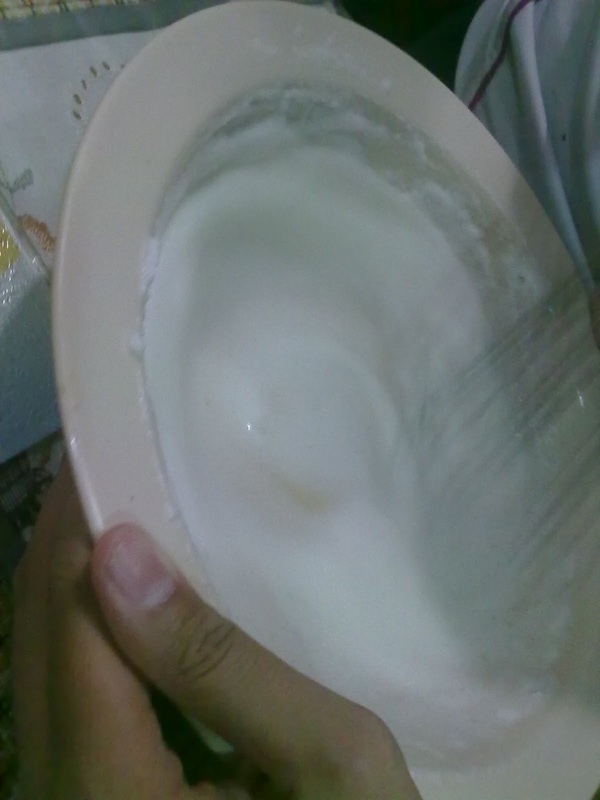 To make it was quite simple actually, we can even do that alone, but that time, we did it together because we have no mixer so we mix the mixtures manually by our own hands (we took turns to mix them). 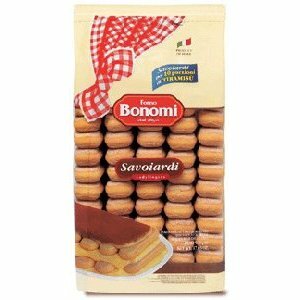 We used the recipe that was provided on the Forno Bonomi Ladyfinger's packaging. Kinda like this. Tapi ni belum jadi lagi. Nanti dia jadi lagi buih-buih-like. Then, mix the foam and the mascarpone cream together gently. Prepare warm coffee. 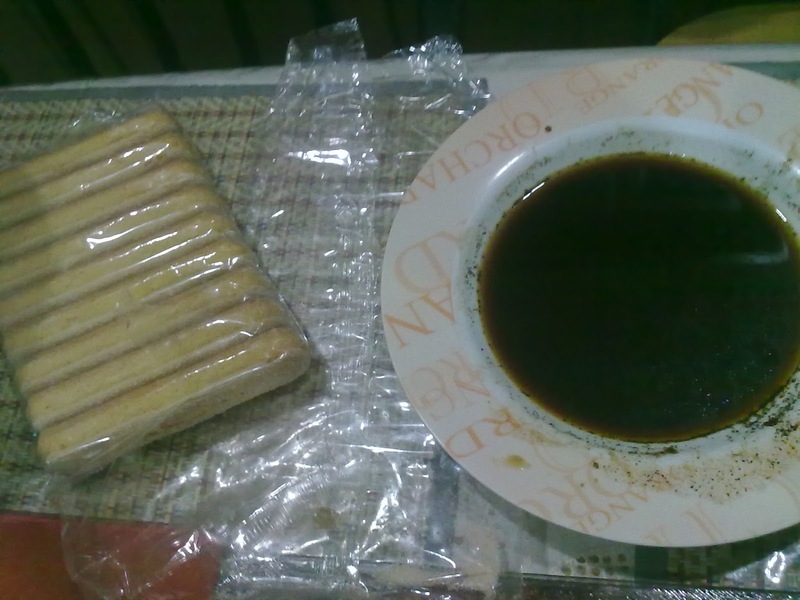 Pour it in a shallow dish so that it's easier to dip the ladyfingers. Dip the ladyfingers one by one into the coffee and arrange them in a serving dish. 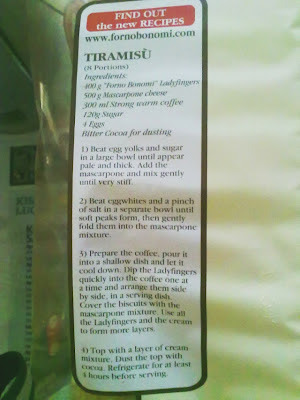 Cover them with a layer of the mixture of mascarpone cream. Kinda like this. Huaha. Ignore how it looks. It tastes good. 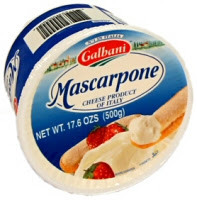 On the mascarpone cream, again, arrange the ladyfingers and cover them with the cream again, and do those again and again till you are out of ladyfingers and mascarpone cream. 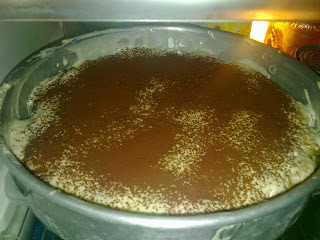 and finally, refrigerate for about 4 hours. There you go. Quite easy isn't it? 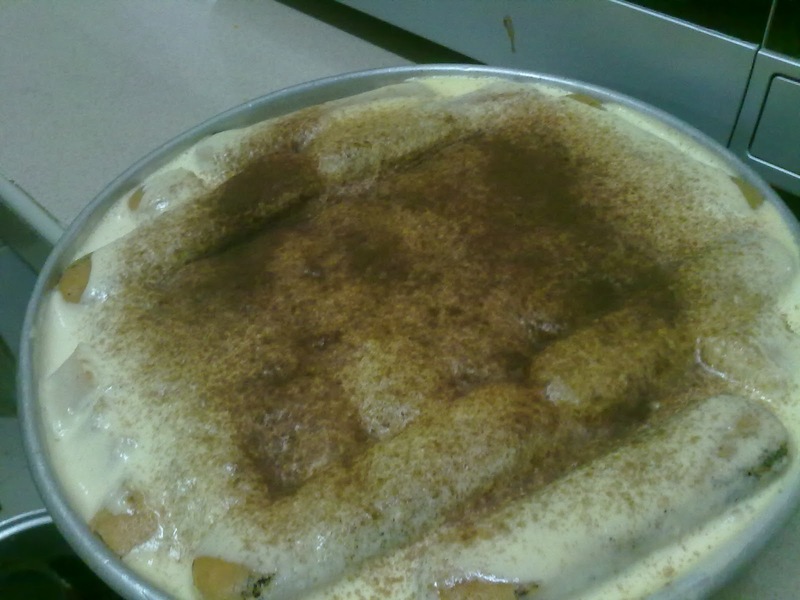 I have tried making it again by myself at home, with some help from my sister, Safiah. and for the dusting, I used Milo since we don't have cocoa powder at home. but it still tastes good. 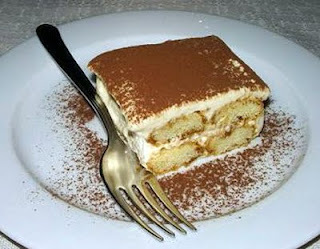 My second try of making Tiramisu. OKla.. My parents and siblings said it was good. Safiah tak sempat rasa sebab dia pergi balik UIA awal. Athirah dapat rasa sebab petang tu aku pergi lawat dia dekat hospital. If you're wondering how to eat it, we actually slice them just like slicing a cake. The ladyfingers biscuits are actually soften after being dipped in the warm coffee. After being sliced, it'll look somewhat like this. P/S: Some pictures were taken by using Google Search Engine and some were just taken from my camera phone. Gotta try it someday! Looks delicious! Fyza: hoho. try la :) aah! demo speech. haha. boleh je buat tiramisu ni time demo speech. senang. sikit.